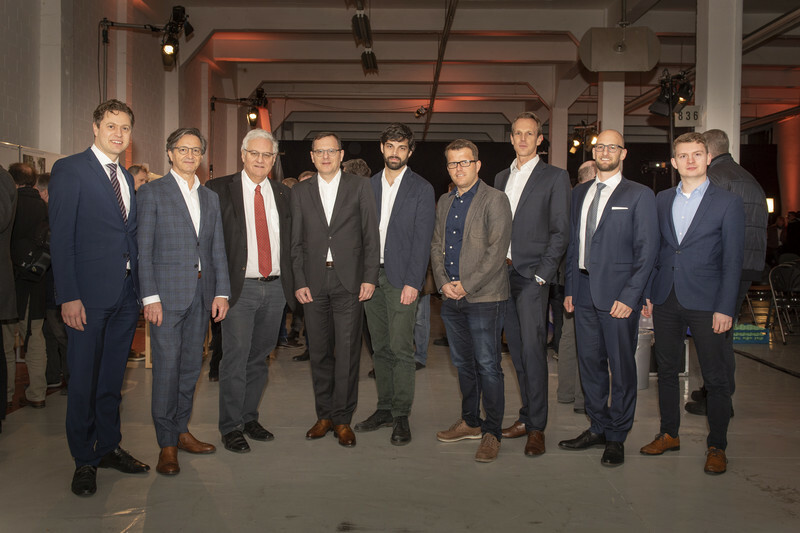 Property developer Steiner AG and the Steiner Investment Foundation are planning a lively urban district with mixed residential and business use on the Feldmühle site, formerly home to the world’s largest embroidery factory. Seven project proposals were submitted to an architectural design competition. The striking feature of the winning project is the natural evolution of a new urban area that combines existing and new buildings with open spaces. 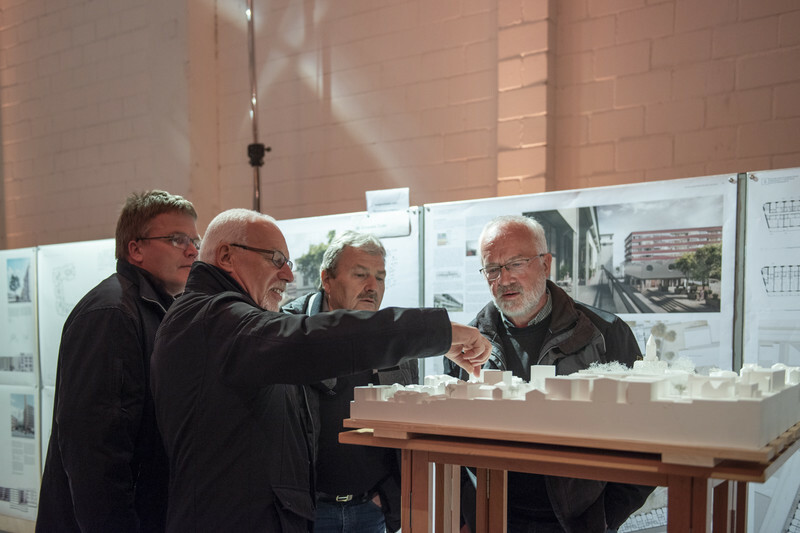 The outcome of the architectural competition was presented to interested members of the public at yesterday's “Stadtapéro” gathering, which took place at the Feldmühle site. “This site is very important for our town so special care has to be taken when planning its development. The outcome of the competition paves the way for another high-quality development in Rorschach,” said the town's mayor, Thomas Müller. He was also pleased that the event attracted around 200 people to the site, which has been disused since 2015. The jury for the architectural competition recommends pursuing the project submitted by the Baumberger & Stegmeier firm of architects from Zurich. “The defining features of this project are the individual characteristics of the various buildings and the wide range of potential uses,” says Beat Käser, project manager at Steiner AG. Green outdoor areas will be superimposed on the industrial arrangement of the structures, linking the buildings and the courtyards between them. Commercial and public use of the ground floor areas will bring life to the area, with paths and stairways running across the site. Some buildings of historical value that give the site its identity will be preserved and given context by new structures. The original character of this former industrial site will therefore remain tangible, underscored by urban developments of comparable stature. The plan is that about 40 percent of the apartments will be owner-occupied and 40 percent rented. Around a fifth of the space is earmarked for commercial use, so the area will offer a mixture of homes and workplaces. 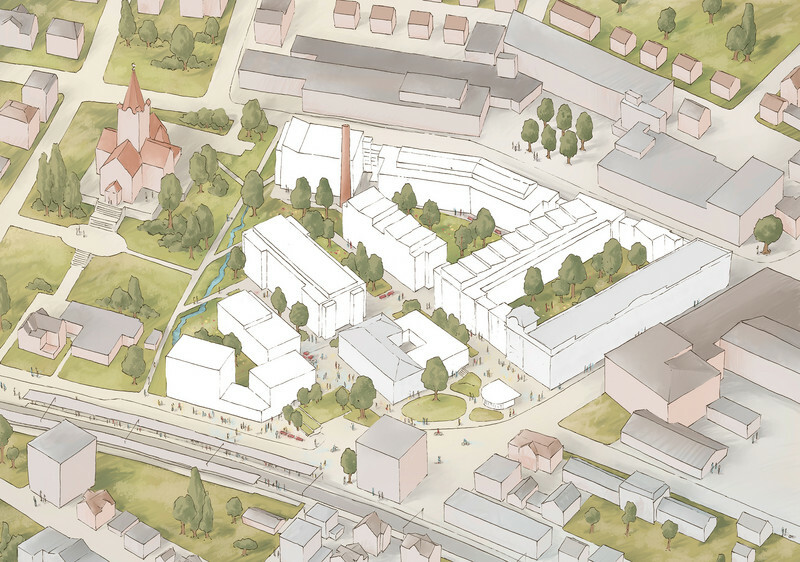 Rezoning is necessary to allow the construction of housing on the Feldmühle site in the future. The project presented by Baumberger & Stegmeier will be used as the basis for the rezoning and for the future development of the area. A development plan will safeguard the architectural quality of the competition. This will set out binding specifications for the dimensions of buildings, their use, architecture, site development and landscaping. Provided everything goes smoothly, the project should be completed in 2025. Ongoing documentation of the project will be available at www.feldmühle.ch. Steiner Investment Foundation, which was established in 2016, is a regulated investment foundation governed by Swiss law. The purpose of the independent, self-managed foundation is to provide asset management of innovative and sustainable investment solutions exclusively for Swiss occupational pension schemes. 50 occupational pension schemes across Switzerland already place their trust in the foundation. Baumberger & Stegmeier Architekten is a firm of architects founded in Zurich in 2004 by Karin Stegmeier and Peter Baumberger. Its activities range from urban planning to the designing and implementing construction projects, especially schools and residential buildings. Based on successful joint projects, the firm has cooperated with Edelaar Mosayebi Inderbitzin Architekten since 2011. 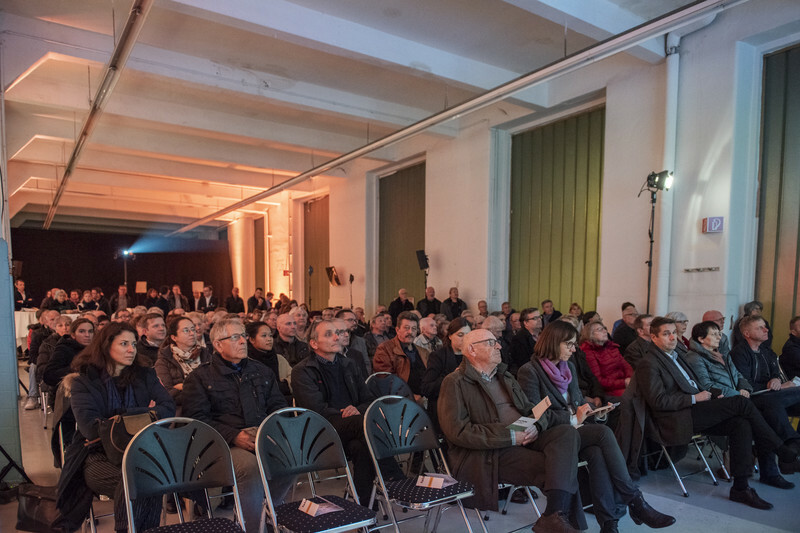 Karin Stegmeier and Peter Baumberger became members of the Federation of Swiss Architects (FSA) in 2013. 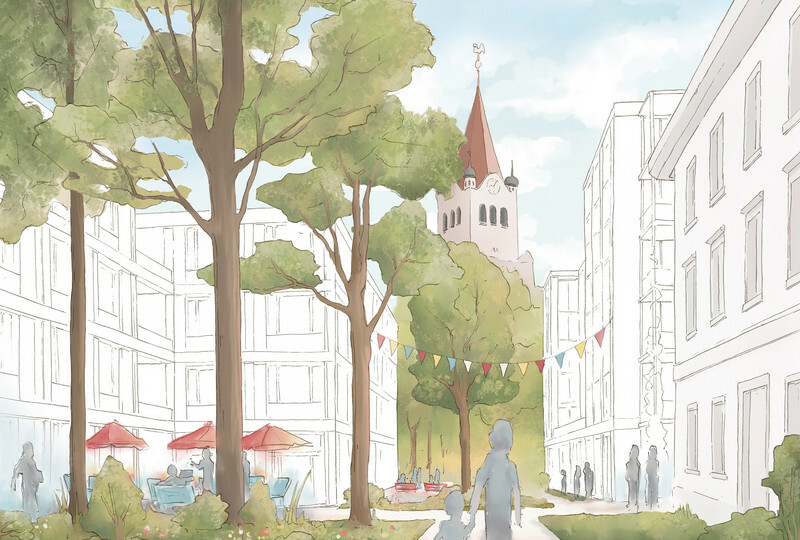 Property developer Steiner AG and the Steiner Investment Foundation are planning a lively urban district with mixed residential and business use on the Feldmühle site in Rorschach. 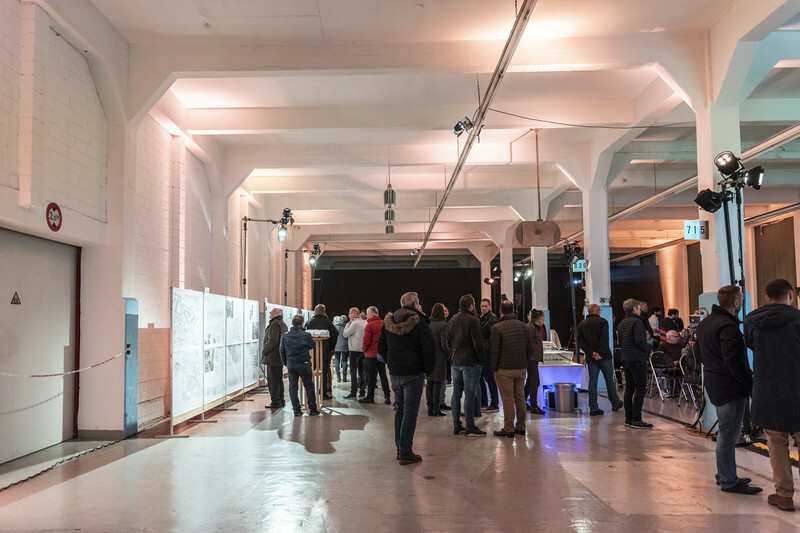 The "Stadtapéro" event, which took place on the Feldmühle site on February 21, 2019, attracted around 200 People.